**Baltimore Friends of IONS meetings will be in at 4803 (not 4801), the smaller Hill House, in the conference room on the right just inside the entrance (go up the outside steps). Directions: From the Baltimore beltway, Interstate 695, take Exit 23, I-83 South. Proceed to Coldspring Lane Exit A & B (Exit 9), and bear west at the top of the ramp. At the first traffic light, turn right onto Tamarind Road. Follow up the hill, and take the first left onto Yellowwood Avenue. Wind around the curve, and watch for the Ruscombe Mansion about 1/3 mile down the road on the right. Look for a large, white home-looking building with a parking lot in front and follow the signs that lead you up the path. Baltimore Friends of IONS meetings will be in the smaller Hill House, in the conference room on the right just inside the entrance at the top of the outside steps. Please knock on the door if it is locked. For more than 20 years the CIA used psychic abilities in a top-secret program. You paid for it; you deserve to know about it. A psychic spy program developed during the Cold War escalated after a Stanford Research Institute experiment publicized classified intel. As a result, the highly successful work of physicist Russell Targ was co-opted by the CIA and hidden for decades due to the demands of ‘national security.’ But when America’s greatest psychic spy dies mysteriously, Targ fights to get their work declassified; even if it means going directly to his former enemies in the Soviet Union to prove the reality of ESP to the world at large. 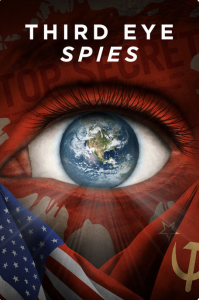 Revealed for the first time, this is the newly declassified true story of America’s psychic spies. The implications of their success show us all what we are truly capable of – now there can be no more secrets.